The OK to Wake! 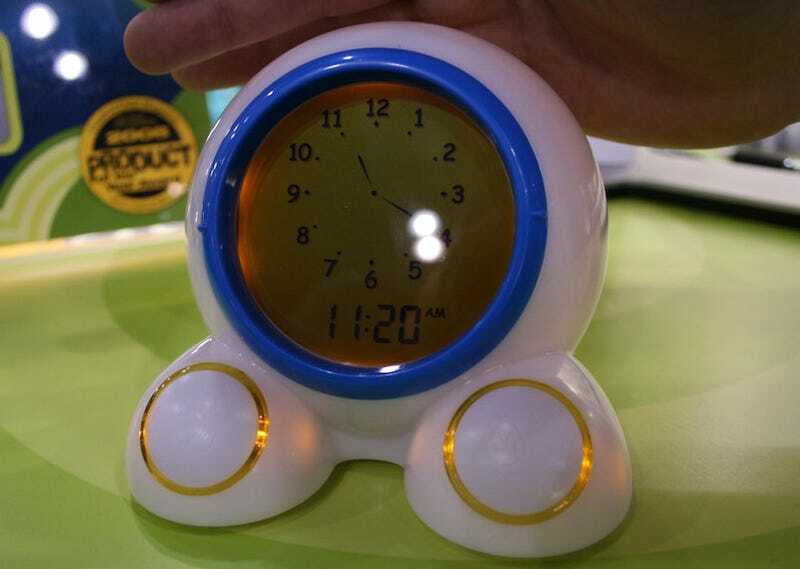 alarm clock teaches your hellions when it's okay to leave the confines of their bed by glowing green when you're ready to deal with them. I'm sure it works perfectly.